It’s officially ‘That time of the year!’ and pumpkin spiced everything is popping up everywhere. My blog is not an exclusion cause pumpkin season happens to be my ultimate favourite season of the year. 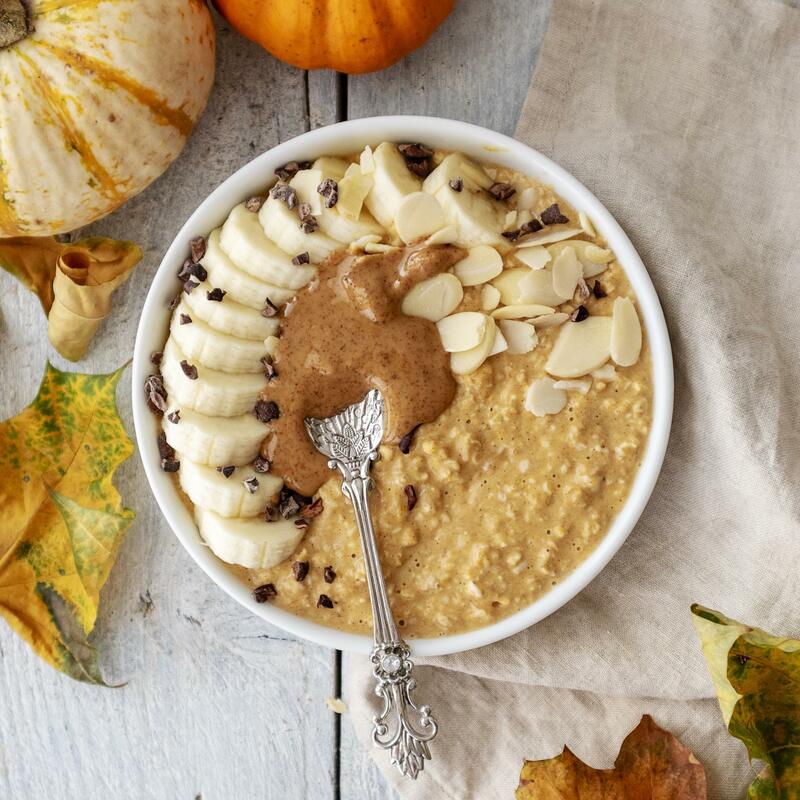 This year I’ve been feeling super inspired and motivated to create more pumpkin recipes aside from the regulars of roasted pumpkin and pumpkin soup – so I’ve started including pumpkin in other dishes too, such as this Pumpkin Spice Porridge, which was super warming and creamy and the perfect start into any autumn day. 1. Add your quick oats to a small saucepan over medium heat. 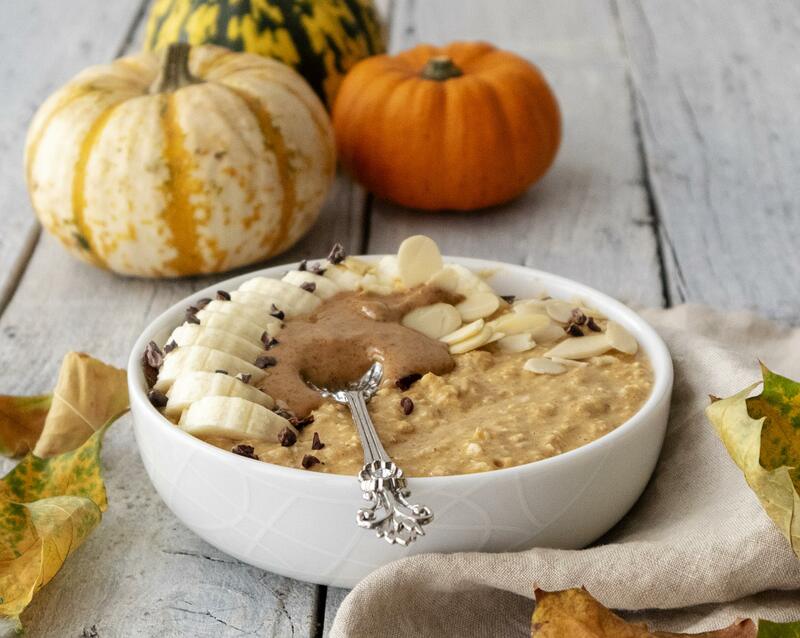 Sprinkle in the pumpkin spice and roughly mix with a spoon to even spread the spices throughout the oats. 2. Add 1/2 cup of pumpkin puree and stir it into the oats, then pour in the coconut milk and stir continuously until everything is well combined. 3. Once the oats have soaked up most of the coconut milk, reduce the heat to a minimum and continue stirring regularly. If you like your oats to be super creamy add an additional 1/4-1/2 cup coconut milk. If you like it thick, you might not need any additional liquids. 4. When the oats have softened and your porridge is smooth, transfer to your breakfast bowls and add the toppings (optional). 5. Dig in & Enjoy! The porridge tastes best served warm,. but you can also create it as overnight oats – simply stir the porridge ingredients into a jar and place in the fridge over night. Add your toppings in the morning and enjoy on the go!